This statistic shows the penetration rate of selected connected domestic devices in Brazil as of 2017. 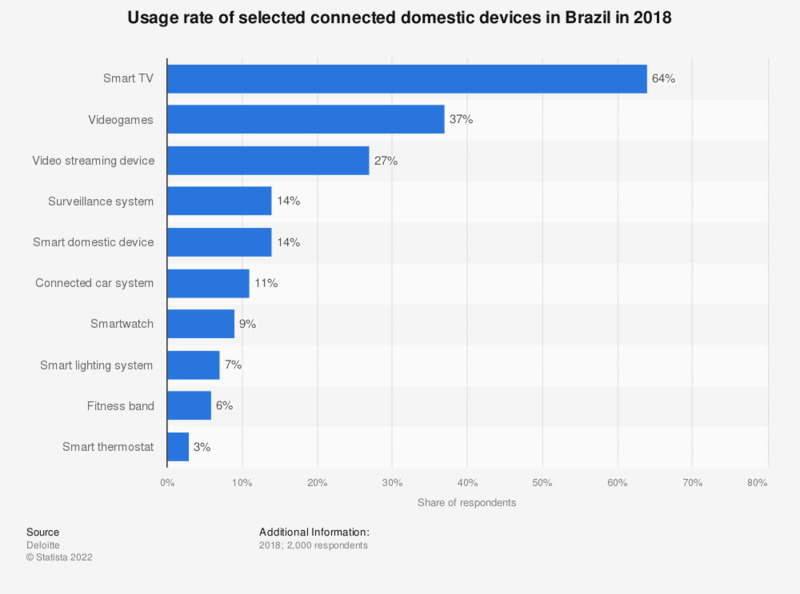 On a survey, 52 percent of Brazilian respondents said they owned or used a smart TV in 2017, while the usage rate of smart thermostasts in the country was only three percent in 2017. This question was phrased by the source as follows: "Which of these devices or equipment do you own or have used recently?" The source does not provide information about the respondents' age.